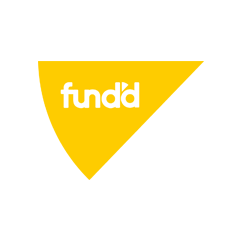 Fund’d is an innovative platform that allows retail investors to invest in a diversified portfolio of startups via automated monthly contributions and/or one off deposits. The startups will be screened and selected on behalf of the retail investors by a team of professionals who undertake rigorous due diligence to ensure only the best are chosen. The general public is now interested in innovation, technology and disruption but startups are utterly inaccessible for the average person. We bring a startup investing opportunity to them in an educational and fun way, with the best opportunities curated for them. With contributions as small as $100, we are opening up a new part of the market. With a portfolio of startup investments, people have a greater chance of backing a unicorn, without betting the farm on it. We are passionate about supporting female founders given the lack of venture capital funding that they receive in Australia. We are also a social enterprise, giving back 1% of profit to Junior Achievement Australia (who provide entrepreneurial education to young Australians).